With more than 16,000 instruments collected from around the world and up to 6,500 of them on display at a time, the Musical Instrument Museum in Phoenix, Arizona, is a one-of-a-kind attraction. Displaying instruments from some of the world’s most iconic artists such as John Lennon, Elvis Presley and Taylor Swift, this award-winning museum gives guests an unmatched experience. 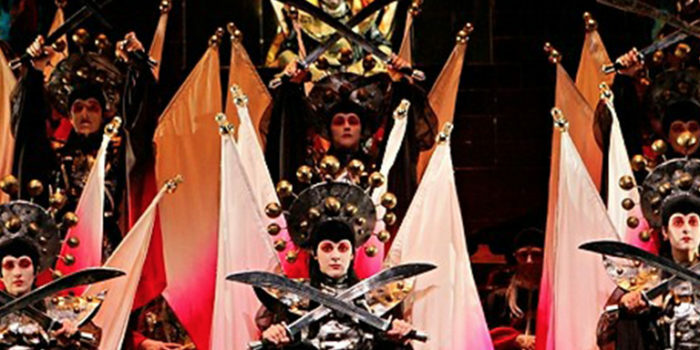 And although the museum serves as home to the world’s most coveted collection of musical instruments, its web presence was lacking the modern look and engaging user experience it needed to fully reflect the organization’s position as one of the top museums in the country. MIM’s old site lacked an updated look and feel, as well as modern features and technology. As a result, it didn’t effectively convey the full experience visitors receive when touring the museum. The content was repetitive and the mobile experience left a lot to be desired. 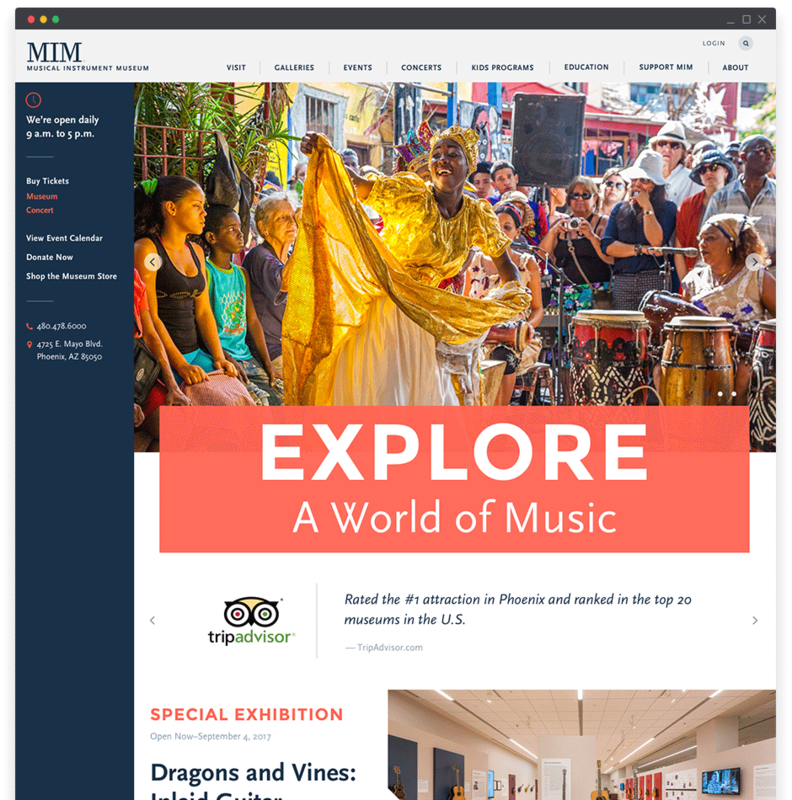 The MIM site needed a number of updates above and beyond basic design and development improvements, including integrating eCommerce into a more natural and strategic user experience and ensuring the site was surpassing accessibility standards. We began the discovery process by flying down to Phoenix to meet with the internal MIM team and tour the museum ourselves. Then we took a deep-dive into the website, discussing opportunities, challenges and more. The MIM staff knew some big changes needed to happen, including improvement of its mobile experience and user journey. The new site needed to offer users easy access to museum information in addition to piquing the attention of its audiences and ultimately grow museum attendance. 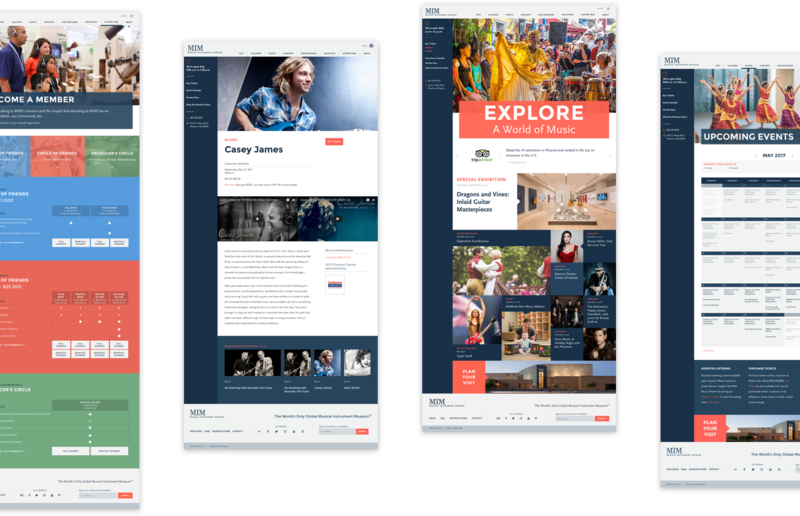 In order to simplify and modernize the site, we designed the homepage as a patchwork of posts that place the museum and exhibition information front and center. The layout revolves around a clean, easy-to-scan grid with large pictures. Bold headlines immediately capture the viewer’s attention and showcases the museum’s resourceful content. We also updated the site colors and typography to give the site a new spring in its step. 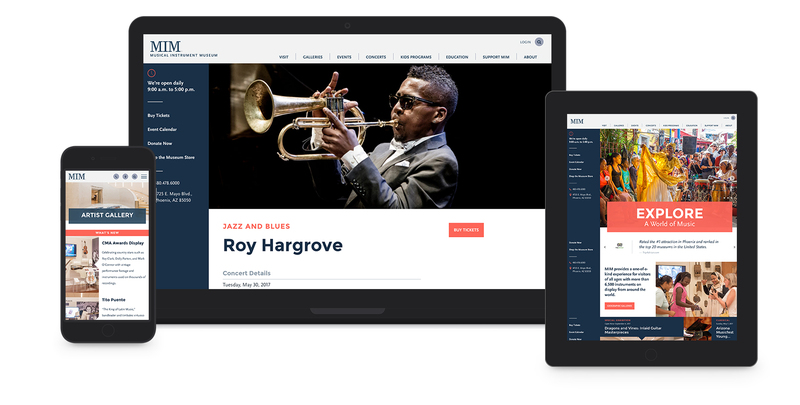 With a revamped front-end and back-end the new site can now support the Musical Instrument Museum initiatives in addition to providing users an easy, straightforward experience on the site. With an updated mobile-friendly design, museum goers can easily find information on any digital device on-the-go! The result is a modern, mobile-focused website that sets the museum up for success to attract visitors from all around the world.